How to hide downloading files from ISP? From the very start of a hilarious popularity of P2P file sharing systems, this question remained one of the most popular in countries with strict copyright and downloading policies. Although the main part of users has switched to virtual private networks, they’ve found that not every provider is able to combine high speed with excellent service quality for Android. Although most providers can guarantee a high level of privacy, not every provider can successfully work with Android-based devices. Which qualities should the right service have? 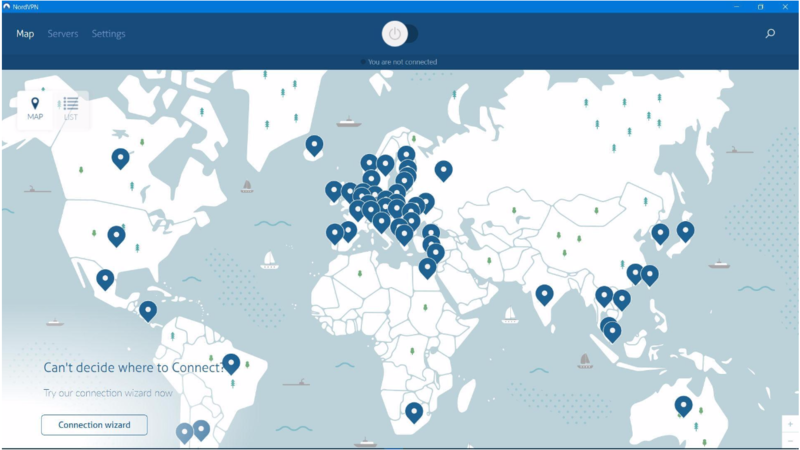 Right geographical location: the main server of NordVPN is located in Panama, where internet regulations are less strict than in most countries. That is why its service can completely ascertain its clients that it has no interest to reveal confidential information to anyone interested. Apart from that, the provider has more than 750 servers in 60 countries covering a large part of this world. Personal information protection and security: NordVPN does not store your logs. The only information kept in the service database is your e-mail, name, and payment details. Thus, the most cautious customers can feel fully protected by using the anonymous mail service and payment systems like Bitcoin, which are supported by NordVPN. Furthermore, users who worry about the security are free to use OpenVPN and IKEv2 encryption protocols offered by the service. Lastly, the NordVPN does not allow unencrypted requests from DNS servers using a separate DNS resolver, which ensures 100% security of all requests. One of the most sophisticated encryption methods: NordVPN employs 256 bit AES OpenVPN protocol, one of the most sophisticated encryption protocols ever known. Apart from that, it also uses double encryption, which stays inaccessible for any hacker or external agency. This knowledge ascertains all clients that no one else can intrude into a flow of files during your P2P file sharing. In addition, NordVPN is suitable for gaming consoles and routers. Installation and user interface: having created an account, your access configuration is limited to downloading and installing the client application. Although it may seem difficult to do, everything is easy with NordVPN. The company website has all the necessary links and step-by-step illustrated setup instructions for all the operating systems the service supports. Once you have the application up and running, you can select servers by country or by type of connection. There are no complex settings and configurations; you establish a connection with a server just in one click. Tariff plans: affordable prices are another good thing about NordVPN. The annual subscription costs $69, which is slightly more than $5 per month. This is one of the greatest offers on the market if we take into account iron-clad security provided, high connection speed, and ease of use. In the case of a monthly payment, you will pay more, $11.95 each month. However, there is an alternative: you can pay $42 for a semi-annual subscription, which is $7 in a month. No matter what tariff plan you choose, you will get unlimited speed with the simultaneous connection of up to six devices, including PCs, smartphones, tablets, and even routers. Usage of CyberSec: This feature works as a real antivirus, blocking all suspicious sites and web applications. This feature will defend your network from all possible malware and phishing attacks which might intrude into the system. Technical features: being one-of-a-kind service, NordVPN provides its customers with the opportunity to benefit from establishing six different connections simultaneously, Kill Switch option, and full compatibility with all the operating systems. Among other benefits are also encrypted chats of up to 5 people, with the auto-deletion option; a free proxy tool that allows you to select a country yourself; a special extension for Google Chrome; and a dedicated proxy for YouTube. Mobile functionality: smartphones and tablet devices are actively occupying the market, and many operations are made precisely on them. So it is necessary to choose a VPN provider for Android or iOS especially carefully since some bank cards may be connected with your phone or tablet. NordVPN has proved itself to be a secure tool to use on any device, without risking your security. Banking options: the company accepts credit cards of major banks as well as payments through PayPal, Skrill, Webmoney, and Bitcoin. So you can easily choose the best payment option for you and save a lot on a commission. On the top of that, there is also a one-month money back guarantee, which is a good thing if you do not feel comfortable using the service. Additional tools for protecting information: the company regularly offers extra tools for its “royal” customers. It can be secret notes, an encrypted chat, and a wide choice of proxy servers to choose from. Responsive customer support: NordVPN has proved its high level of professionalism when it comes to their customer support. Apart from the FAQ section on the website, where you can find valuable information on how to use the service, there is also an option to contact the support team online. You can submit a request and receive an irrefragable answer shortly. Customer support is available 24 hours a day and works without any breaks and holidays, which is definitely a good thing about the service. Is it enough for P2P sharing VPN? Don’t think that you can find all these features in all VPN service providers designed for P2P file sharing. Every company uses a unique set of characteristics and features. You can find even cheaper providers, which claim to offer the same protection level, but you should always take into account their speed of downloading. Even though your system may be 100% safe and protected from external intrusions, you will not accept that downloading the song takes more than a minute. If you don’t want to waste your time on downloading free versions and testing them with random files, read professional reviews of virtual private networks. You can spend half an hour on reading and this way save entire weeks and months because you will already know what to expect from the service. This is a more reliable source of information than advertisements and corporate sites. One of the main advantages of NordVPN is its low cost of a subscription with a big range of available services and servers. What is more, when “buying” once subscription, you can connect up to six devices simultaneously (for example, for the whole family). If you are going to use it for Windows only, then NordVPN is the best choice in terms of both price and quality. Consider that there is a 30-day money back guarantee. So if you do not feel comfortable using the service, you can always request your money back.